UPDATE: As of 10:15 p.m., Utah Highway Patrol Sgt. Dave Bairett has informed St. George News that state Route 21 is fully open. 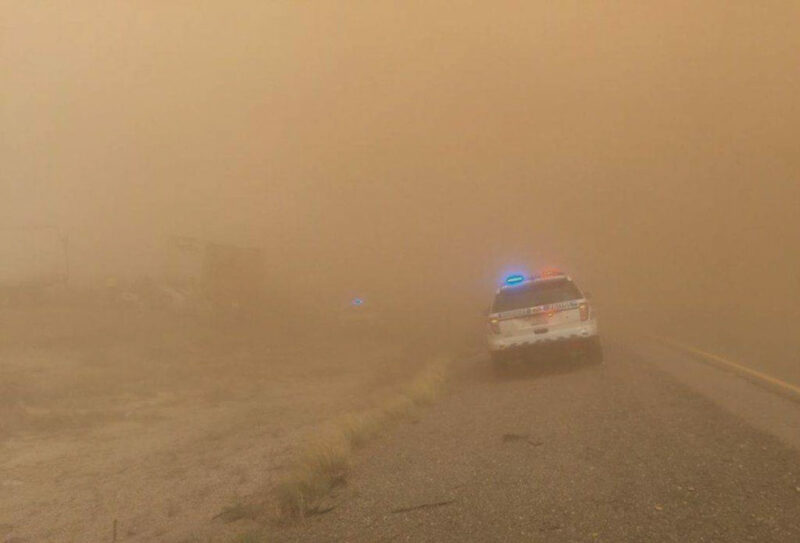 ST. GEORGE — Three crashes involving multiple vehicles and triggered by high winds and low visibility closed state Route 21 Sunday from milepost 78 west of Milford through milepost 90 and left several motorists injured. Wind gusts were also responsible for blowing the roof off a barn in the area, which also contributed to the closure. 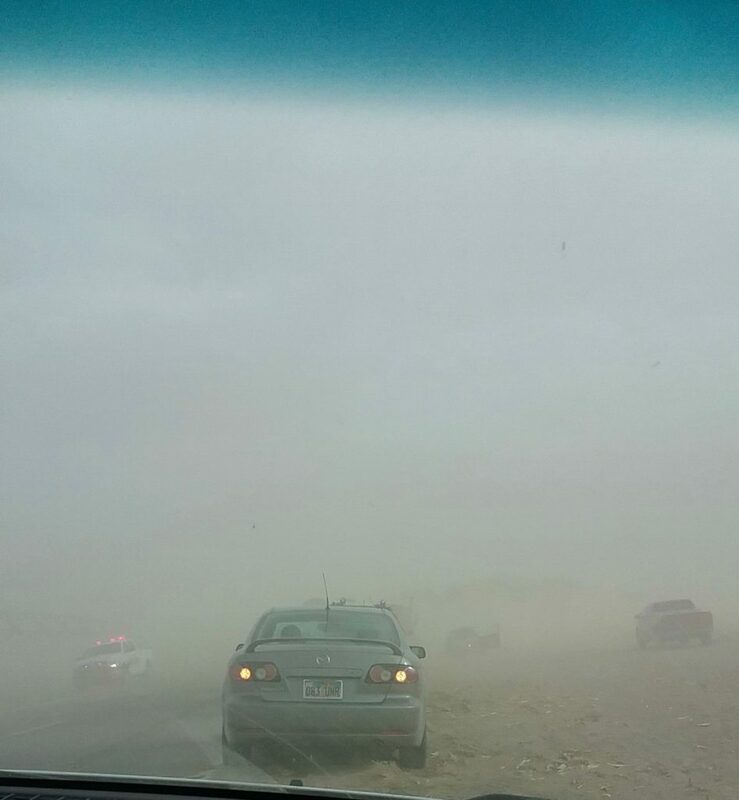 The first three-vehicle pile up was triggered at approximately 6:30 p.m. when high winds and dust blew through the area reducing visibility to the point that motorists were having difficulty seeing the road, Utah Highway Patrol Sgt. Dave Bairett said. 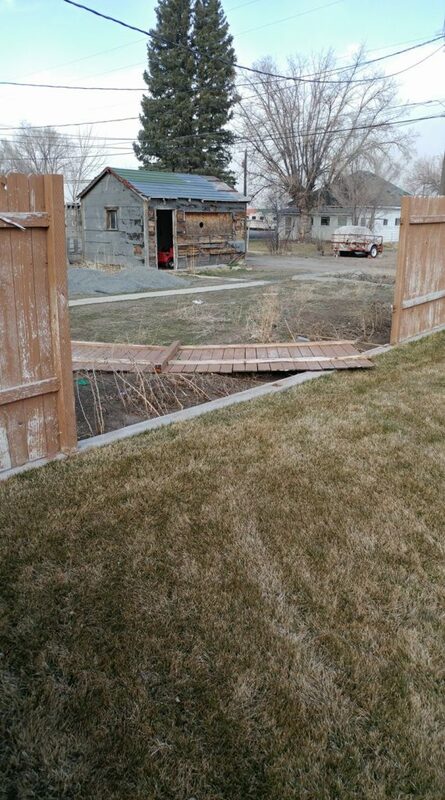 The National Weather Service issued emergency alerts reporting winds that could exceed 85 mph. 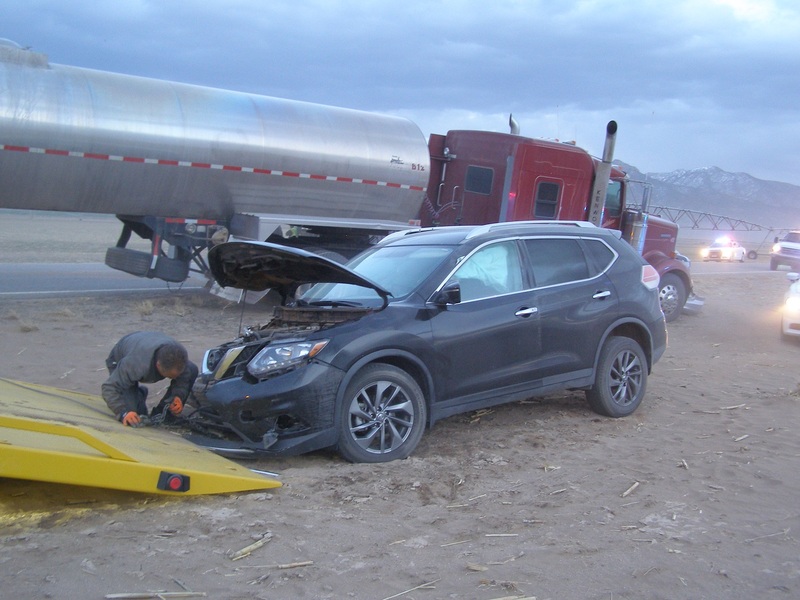 The first crash was reported as a head-on collision involving a semitractor-trailer that was struck by a black SUV and a pickup truck pulling a trailer. Drivers of the latter two lost control of their vehicles and slammed into the semi, causing serious injuries to several occupants involved, Bairett said. 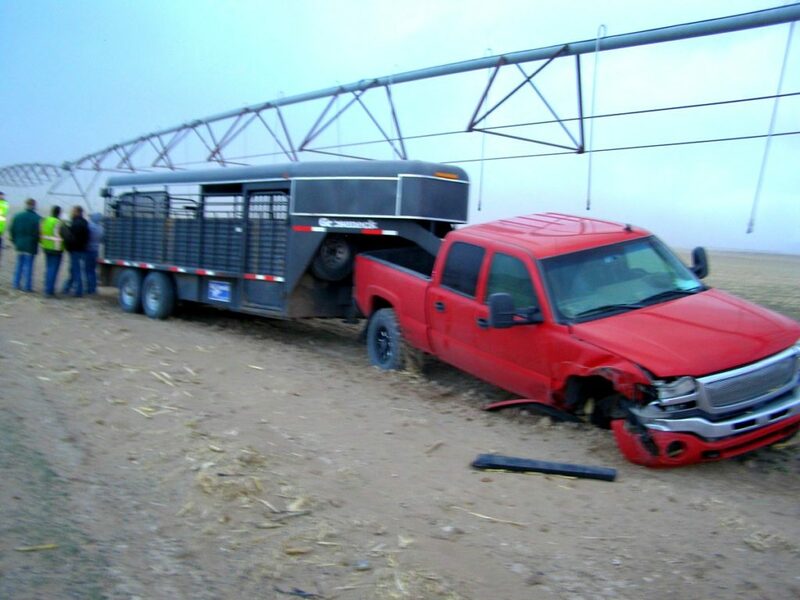 “The vehicles impacted corner to corner in a head-on fashion after sliding into the truck,” Bairett said. 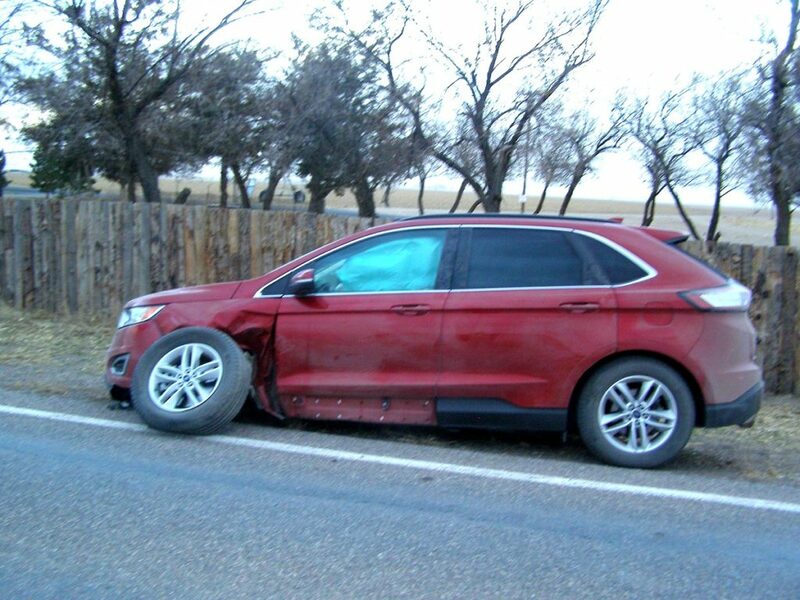 The next incident happened when a passenger vehicle driving through the first accident scene struck debris in the roadway and lost control of their vehicle and crashed. A passenger car traveling directly behind that vehicle came through and stopped in the middle of the roadway when the driver was no longer able to navigate through all of the debris, the trooper said. 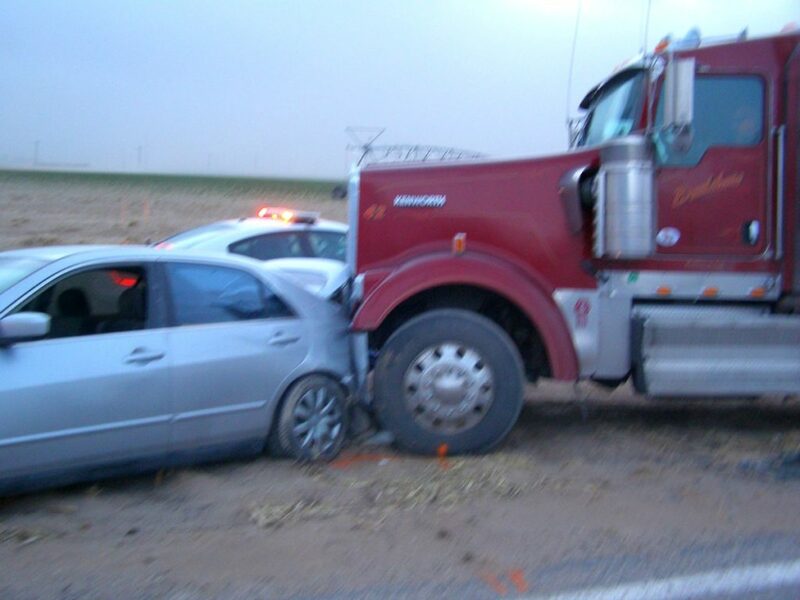 The third crash was triggered when a second semi headed into the large crash site struck the vehicle that was stopped in the middle of the road, Bairett said. The occupants involved in the first crash sustained serious injuries and were transported to the hospital by ambulance, he said, while other motorists involved in the crashes sustained injuries as well. They were forced to pull over and were among the first people to come across the multivehicle crash. They were forced to remain in the area while emergency responders surrounded the area to tend to the crashes. During the same time the roof of a barn was blown off by high wind gusts, and the debris became caught in power lines that went crashing to the ground, Bairett said, which also played a part in the closure of SR-21. SR-21 is closed both directions from milepost 78 to milepost 90 due to the incidents, according to a traffic alert by Utah Department of Transportation. Nobody around here knows what Highway 21 is. You need to explain that it is the Ely Highway between Milford and Lehman Caves.